Within the first 3 years of the Mainland Eagles Academy being established by the Canterbury Regional Basketball Foundation (sole beneficiary limited partner of the Canterbury Rams) has already seen 22 players supported to receive academic & basketball scholarships at USA Universities. The Academy is proud to announce that Quinn Clinton has signed with St Mary’s College of California. Quinn has been involved with the Mainland Eagles Camps, weekly trainings with Mainland Eagles Academy & Canterbury Rams Head Coach Mark Dickel. Quinn attended Christchurch Boy’s High School and played basketball for Glenn Lang. Quinn is the brother of Mitch Clinton and the son of Peter & Tracy Clinton. 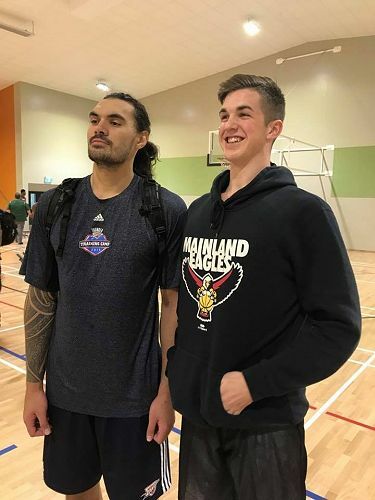 “A key factor in Quinn’s recruitment has been the excellent support he’s received from the Mainland Eagles Academy team, both on and off the court. On top of the technical skills-focused program the Academy offers, the coaching staff have helped Quinn prepare for SATs, handle approaches from US coaches, and ensured Quinn balanced training with his school work, managed his fitness and energy levels, and developed his time management and planning skills. Mainland Eagles has been there for him every step of the way. The Academy is offering outstanding mentoring to South Island athletes who choose basketball as their pathway,” stated Peter & Tracy Clinton. Quinn Clinton will be playing for Coach Randy Bennett at St Mary’s College of California. St Mary’s has produced great Australian players who are currently playing in the NBA including Patty Mills and Matthew Dellavedova. 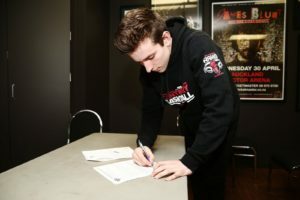 Quinn spent this past year as a Canterbury Rams development player. Quinn was the captain of the U19 New Zealand team who beat Australia for the first time at the U19 FIBA Oceania Qualifiers. He was captain for the U19 Waitaha/Canterbury Combined team who won the National Championship this season. Clinton is currently training as a development player with the New Zealand Breakers. Quinn will be majoring in Geography. 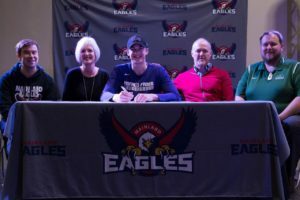 “We are excited for Quinn who has put in a whole lot of work to get to this to this point and will do the Mainland Eagles Academy proud,” stated Mainland Eagles Academy and Canterbury Rams head coach Mark Dickel. Quinn joins fellow Academy member Angus McWilliam at the NCAA Division 1 ranks who signed officially with TCU yesterday. Currently Mary Goulding (Fordham University), Sam Timmins (University of Washington), Harrison Meads (Pepperdine University) & Tessa Boagni (Cal State Northridge University) are all playing at NCAA Division University’s. It is expected another Mainland Eagles Academy player will sign within the next week. With several more expected to sign in the April NCAA signing period. “When establishing the Mainland Eagles Academy 3 years ago our vision was to provide young people throughout the South Island an opportunity to pursue basketball and academics at elite US University’s. Not only are Quinn & Angus signing with great basketball programmes they will be receiving an education at two of the top academic institutions in the United States,” stated Mark Dickel.